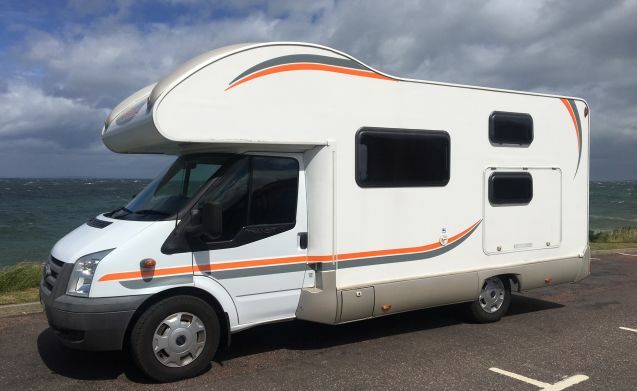 Our motorhome is a 2008 Ford Rimor Kata Marano. 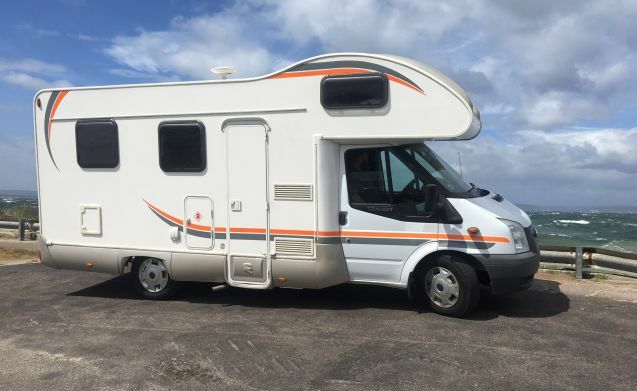 It is a 6 berth, with 6 seat belted seats (4x full, 2xLap belts) and is great for families with children, or just a couple who want to enjoy a more spacious motorhome. 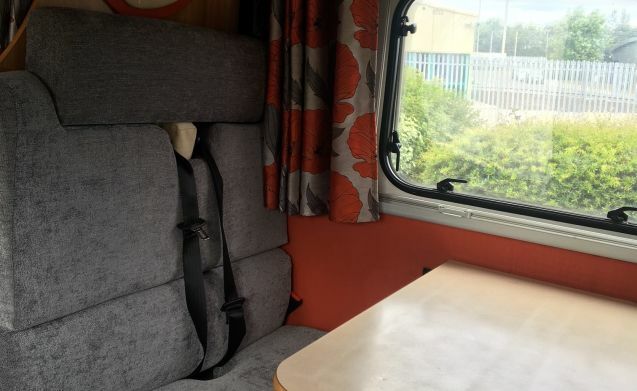 It comes with a mid lounge/dining area, which converts into a double bed, a large double bed above the cab and bunk beds to the rear. 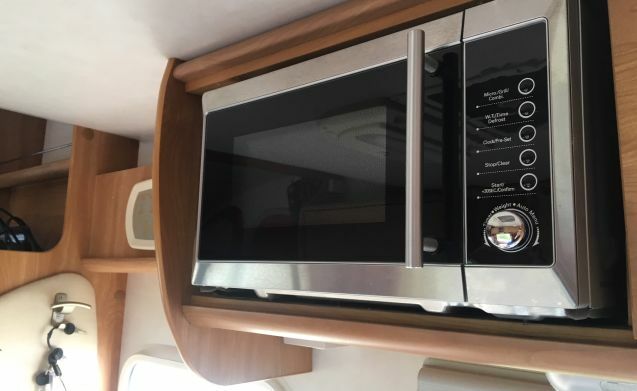 The motorhome comes with a tv/dvd player and built in tv receiver. The main stereo system also works through additional speakers in the back. Average fuel consumption sits at around 30-35 mpg. 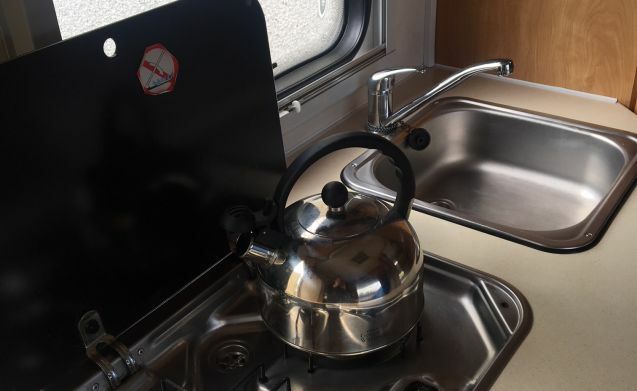 This Motorhome has a full kitchen, with sink, microwave and 2 ring hob. 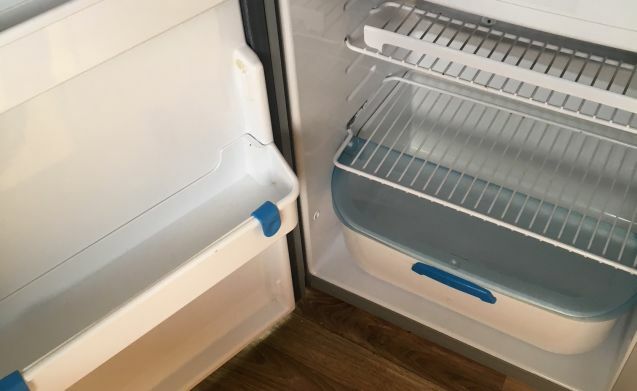 It also has a good size fridge with small freezer compartment. 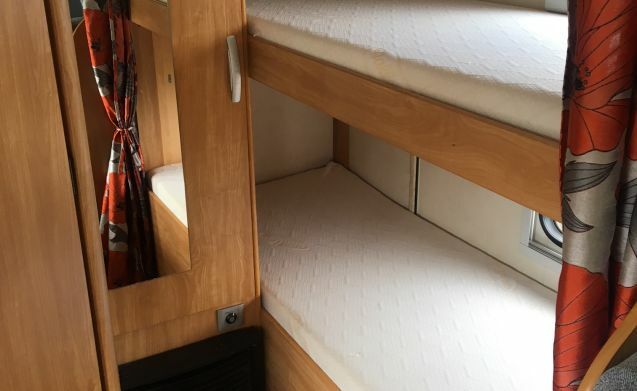 There is ample storage on board. The fully equipped bathroom has a toilet (featuring electric flush), sink and shower. The heating system provides hot water. 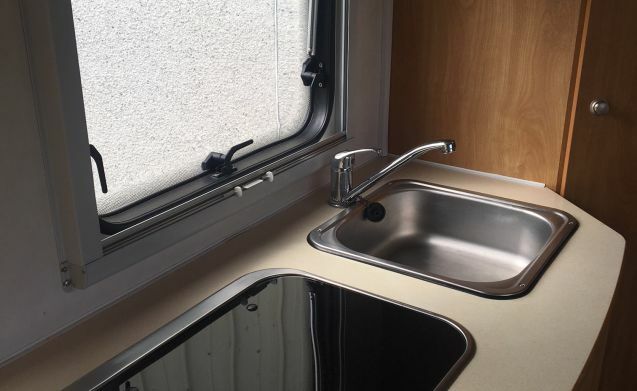 The motorhome also benefits from the built in blow heating that can be run from both electricity or gas. 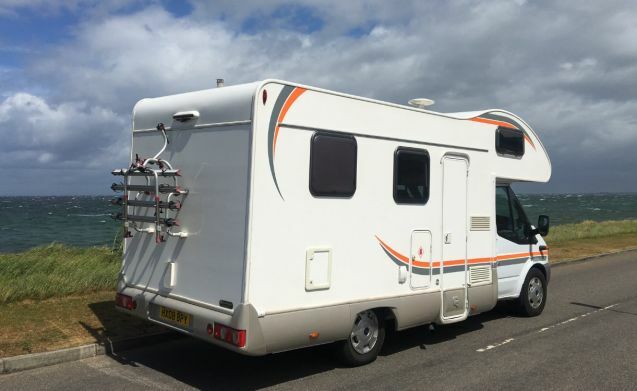 The motorhome has a 110w leisure battery 2 x gas bottles. The batteries will be fully charged and at least one gas bottle will be full. 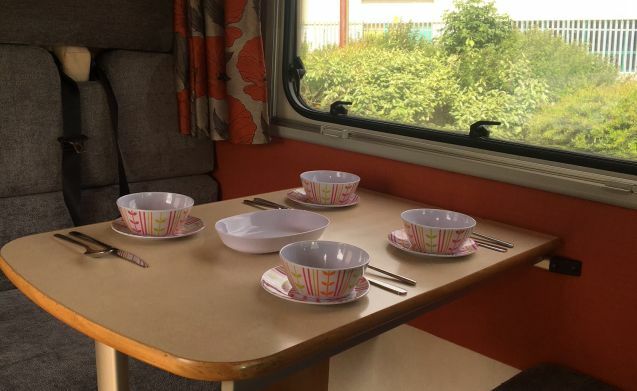 Included is cutlery, kitchenware (including kettle), as well as table and chairs to sit outside. Please note we can provide bedding and towels if required (just let us know when booking). For your convenience the motorhome will be fully fuelled with diesel. Simply return it full. 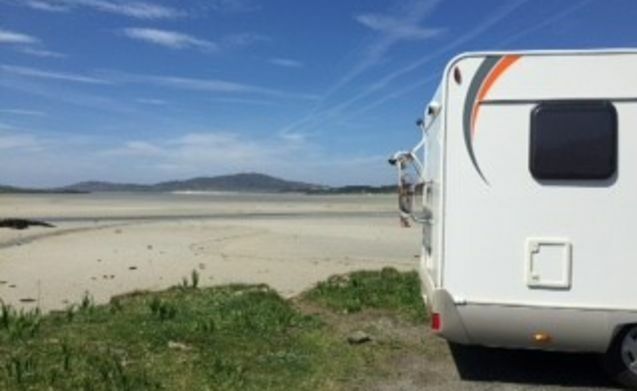 We will explain how everything works and provide you with a guide for when you are on the road, and we will be available on the phone for any questions, so no need to worry if you are new to motorhoming. Once you have paid your deposit we will email you to confirm and say hello. 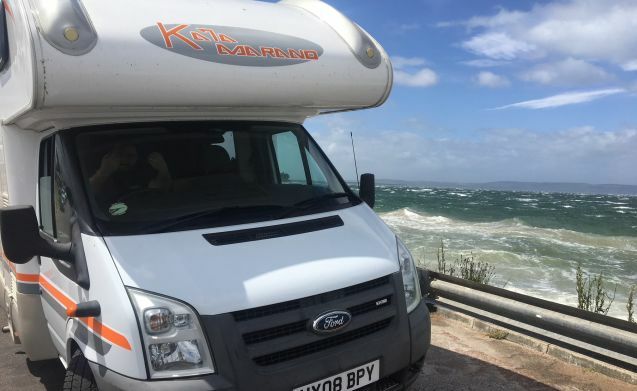 Collection and return is from Nairn so ideally suited for the now famous North Coast 500, the new East Coast 250 or just take off and head wherever the weather takes you. If required you can leave your car with us for the duration of your booking. We could also arrange to collect from airport, train or bus station if required. Insurance cover is included in the price (based on a single driver with a clean licence aged 25 year or over). A copy of a driving licence per driver is required 3 days before pickup. Should the insurance quote be higher due to your circumstances, we will let you know of the additional cost. 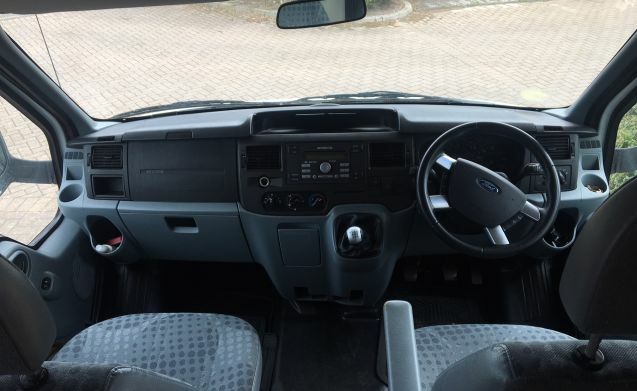 As the motorhome is just under 3.5 tonnes, you can drive with a full UK standard driving license. As with all insurance policies it is subject to an excess, which is £750, which you will be responsible in the event of a claim. Please note, time for collection and delivery can be changed from the standard noon time stated, subject to a pro-rata charge for the hire and insurance. Please feel free to contact us should you have any questions or queries regards booking or the Motorhome.